Not much more to add to that. 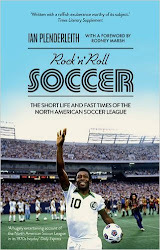 The Independent on Sunday sports section on September 21 named Rock n Roll Soccer as its Book of the Week, and praised it as a "compendious but vividly entertaining history of the League". They are so right.